Here is an Easy Free DIY Fall Decoration that is simple and looks amazing. A fantastic idea for weddings and celebrations such as Thanksgiving. 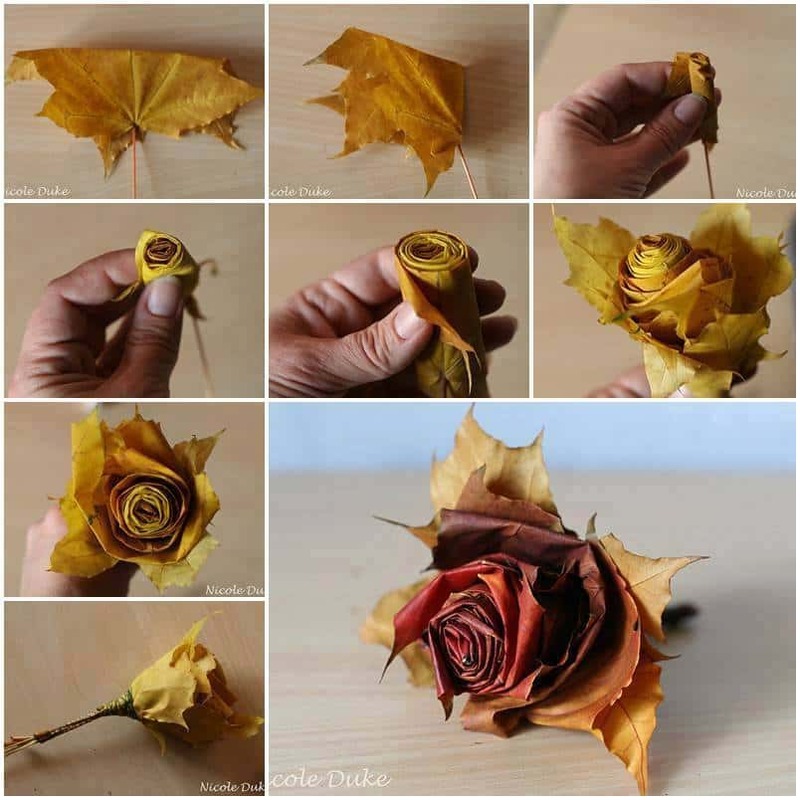 To make these gorgeous fall roses all you need is some leaves, floral tape, short twigs and a pair of scissors. If you don't have floral tape another type of tape should do the job. To make the flower begin with a small leaf and roll the leaf from one side after folding the points down. Be sure to arrange the leaf so that the colorful side is facing down. Choose a second leaf that is larger than the first. Fold the centre point down and place the leaf you have already rolled in the centre. After you have done this fold down the side points of the second leave and then wrap the sides around the rolled first leaf. Continue to add more leaves the same way as the second one until you are happy with the size and shape. 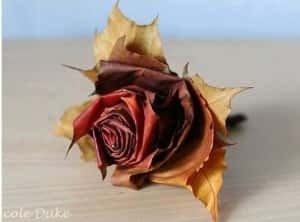 When your rose is rolled to your satisfaction wrap the bottom where the stem will be with tape as shown. Next you can add the stem by using a twig and the floral tape.